Looking for a unique and special way to show your love to your favorite dog mom or dad this Valentine’s Day? Daisy and I suggest you send one of these super CUTE flower arrangements from the a-DOG-able collection at 1800flowers.com. Not only are they full of personality, but they are also available for same-day delivery from your local florist when you order HERE. We especially love the one that comes with the reusable dog treat jar…super cute! 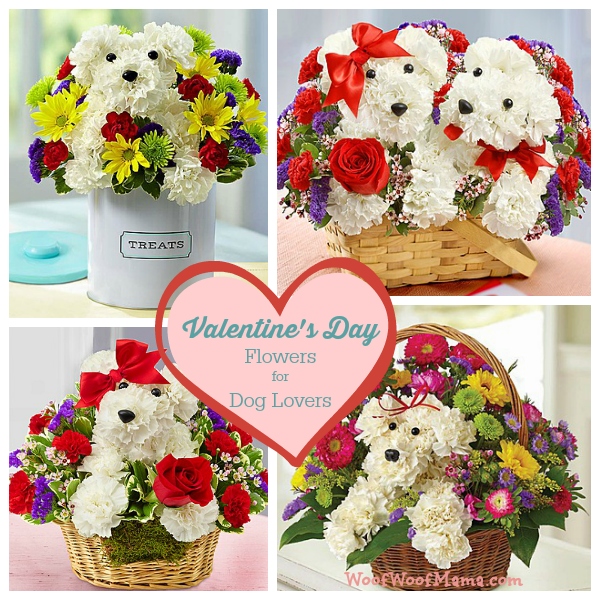 There are a variety of designs in flower arrangements for dog lover, so you’re sure to find one for your romantic partner, your parents, grandparents, kids or grandkids. Got a Valentine with a birthday soon? 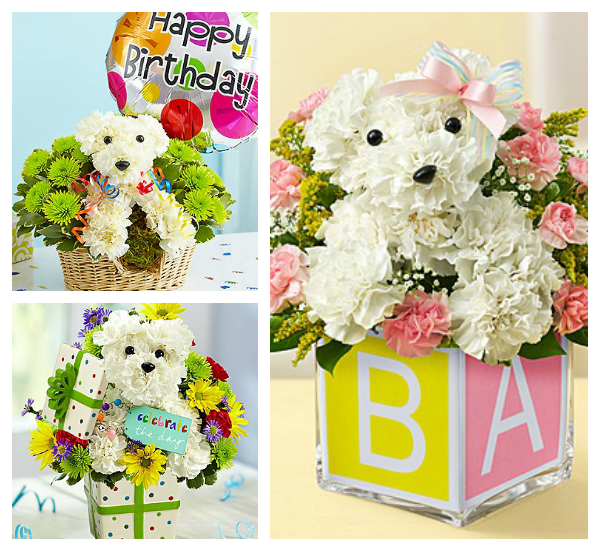 Check out the Birthday flowers for dog lovers. There’s even a special one for new moms, babies and moms to be! And, no need to pay full price to wow your lucky Valentine. We’ve got discounts and coupon codes for 1800flowers, so whether you send a dog flower arrangement, roses, a plant or gift basket, you can use a promo code to save on your order. Up To 40% OFF Valentine’s Day collection only at 1800flowers.com. 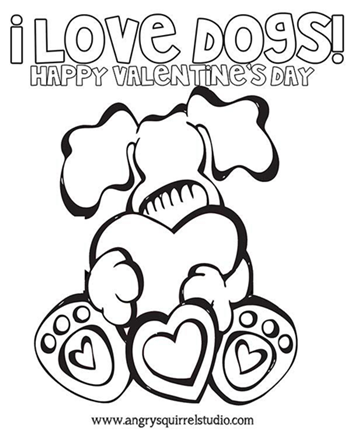 Celebrate Valentine’s Day with a very special FREE coloring sheet from Angry Squirrel Studio, illustrators of super cute dogs, cats and critters! 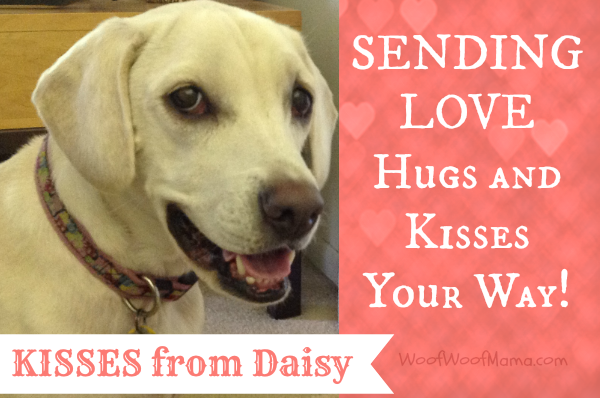 Download this adorable Valentine’s Day Dog printable and be sure to check their site for plenty more news, freebies and fun stuff. 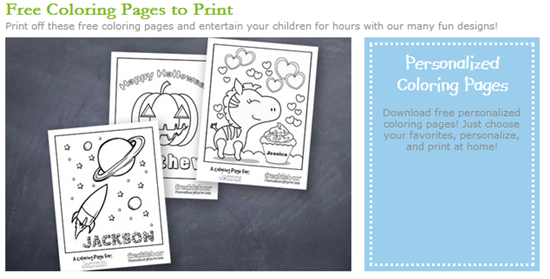 The original offer on this page has expired but you can still snag some super cute and FREE printable coloring pages for your kiddos in time for Valentine’s Day! 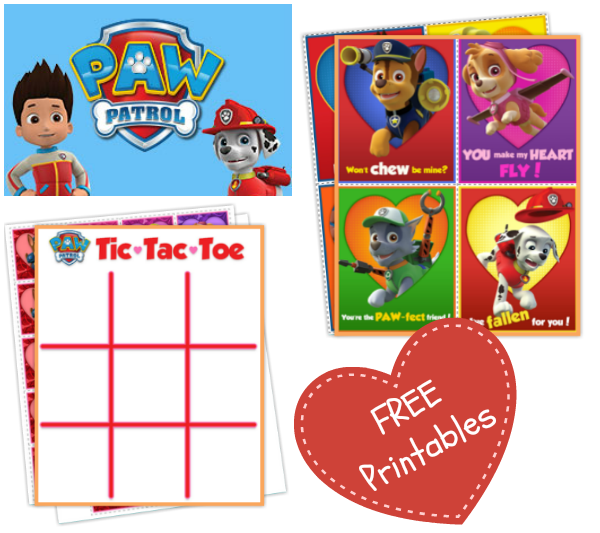 Free PAW Patrol Printables for Valentine’s Day! Valentine’s Day is coming, and since the hubby and I are doing the Nutrisystem program together, we’ve been planning ahead for how to celebrate while still staying on track with our weight loss. 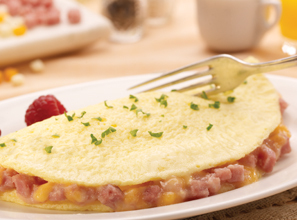 Hubby’s favorite is the Turkey Bam & Cheese omelet, while mine is the Garden Veggie one. We get both with our frozen food order, so we trade off. Instead of Mimosas, make fancy glasses of sparkling water with just a splash of fresh squeezed OJ for a low-cal cocktail and enjoy breakfast in bed! 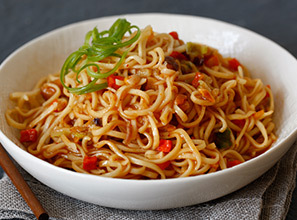 Spice things up for lunch with Nutrisystem’s new Kung Pao Noodles! I like to make a side of steamed baby bok choy with just a tiny bit of hoisin sauce and crushed peanuts on top to make the meal feel extra special. Using chopsticks is fun and helps you to eat more slowly, too. 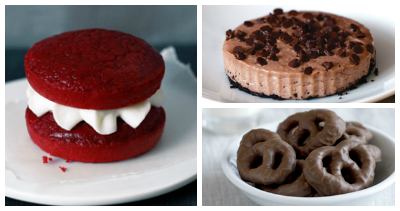 For most men, one sure way to win their heart is with good old-fashioned comfort food! 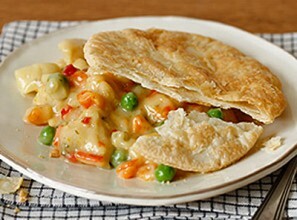 The hubs is no exception, so I’m planning to make Nutrisystem’s Chicken Pot Pie. I’m still trying to decide on the perfect side to go along with it so let me know if you have a suggestion. I’m thinking roasted brussels sprouts since we both love those, or maybe a fancy salad with strawberries and spinach.